Hollywood Towing Service offers proper roadside assistance services requested by all our customers. When you need jump-start services, you can count on us. We offer low rates on jump start service in Hollywood and Los Angeles areas. So anytime this inconvenience happens to you be sure to give us a call and utilize our low pricing. Our technicians both the knowledge and experience in the tow trucking industry. We never recommend that the drivers try to jump-start their own vehicles unless they have been trained in doing so. If you connect the wrong terminals you can not only risk shocking yourself but you may damage all the electrical systems within your vehicle. This causes an arc which can be fatal. 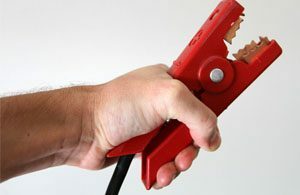 It’s not worth saving a few bucks doing it yourself when you will end up spending thousands in electrical damage or hospital bills. Give us a call and let us handle it with ease getting you back on the road in no time. There are many reasons to choose us when you find yourself not able to start your car due to a flat battery. We know this sort of delay can happen at any time and so we provide 24/7 service, we promise to be at your side. In order to make us solve the roadside situation, we operate with highly qualified technicians who are efficient, professional and friendly. Don’t worry about high pricing on jump start service, give us a call! You will not be disappointed in the professional roadside assistance service our technicians provide. 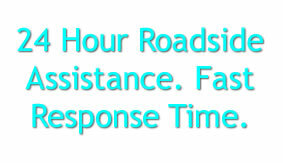 After you finish talking with the phone operators about your location and vehicle issues we will dispatch the roadside assistance team to you in no time. With our true dedication to satisfying service, our qualified and experienced technicians perform fast and professional jump start car service reasonable prices. Using the latest tools and equipment, we ensure the problem is diagnosed and fixed fast and safely to your convenience and full satisfaction.